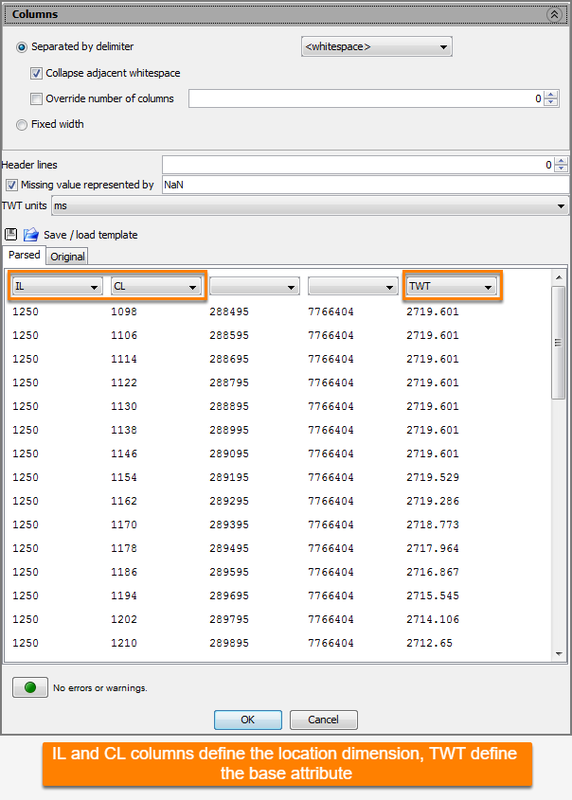 Insight allows you to import a horizon which is saved in a text file (.dat extension) using the text importer; for example, horizons saved in the GeoQuest Card Image 7 format. Note: A GeoQuest Card Image 7 file can contain multiple horizons. 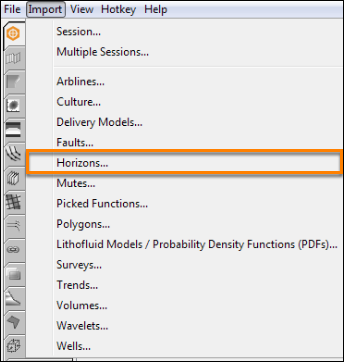 Insight supports the import of multiple horizons in a GeoQuest file. Select the horizon (.dat file) to be imported. 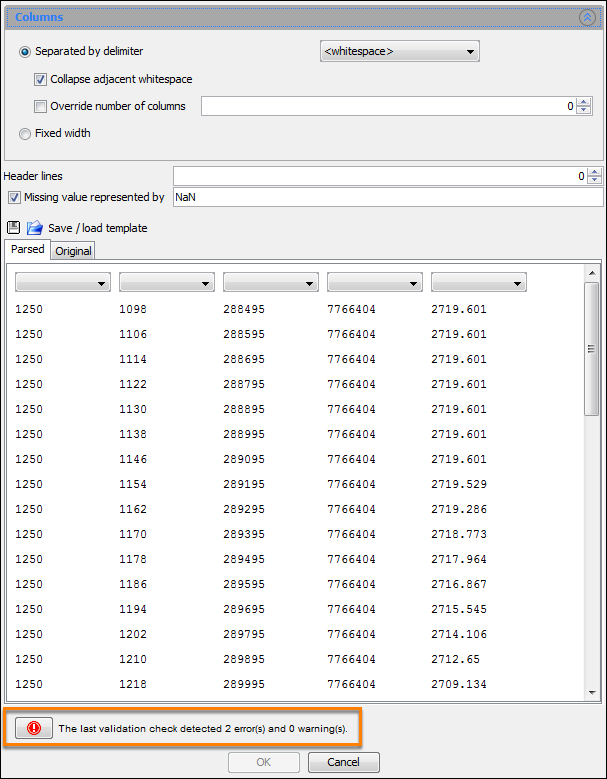 At the column headers, click the drop-down combo box and select the header. You can import multiple attributes by defining the columns as Extra Attribute. As you define the column headers, take note of the errors/warnings. The exclamation icon will turn green if there are no errors/warnings. Click OK to import the horizon. Note: When importing 2D horizons, look out for gaps/spaces in the line names (e.g. "E00123 long"). The text importer might treat the name as two separates columns, and cause the values in that line to be in all the wrong columns. If you are unable to view or edit the horizon, it is because the horizon you have imported is not on a regular grid. Perform a Regrid operation to regrid the horizon onto a 2D or 3D survey (see Horizon Regrid).